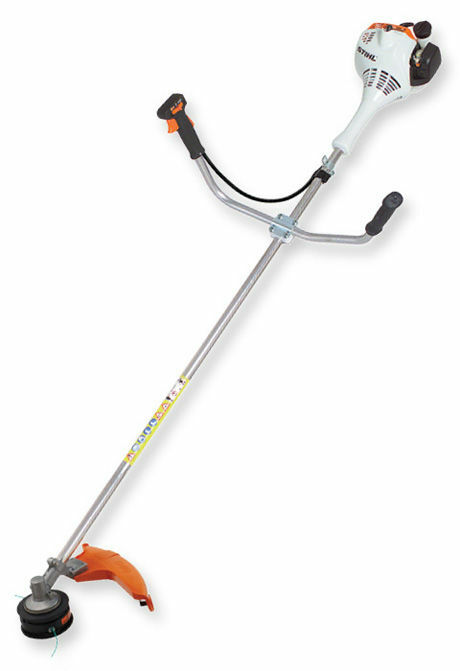 Compact and lightweight Grass Trimmer for domestic and light-commercial mowing and clearing applications. Includes Easy2Start for effortless starting. With bullbar handle and back pack style harness. Ergonomic bike handle When used in conjunction with a harness, the bike handle enables a smooth mowing action. Ideal for working on large areas and allows the machine to be easily guided, thus reducing fatigue. Multi-function control handle All the engine controls are at your fingertips, allowing easy and safe operation.